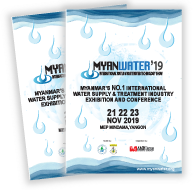 MYANWATER – the Biggest International Water Industry Exhibition in Myanmar will be returning in its sixth edition from 28 to 30 November 2019 at the prestigious Myanmar Expo Hall by Fortune Plaza venue in Yangon to showcase an array of new equipment, supplies and solutions for improving Myanmar’s water production, supply and treatment capabilities. This will enable the country’s infrastructure to keep pace with its outstanding economic progress, which is currentlyone of thefastest growing economies in Southeast Asia, averaging 6.8% in GDP growth per year, according to the Asian Development Bank. 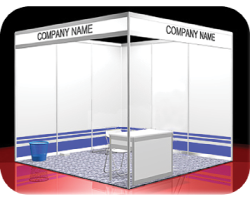 Its Gross Domestic Product has also been forecasted to grow by 7.2% throughout 2019.